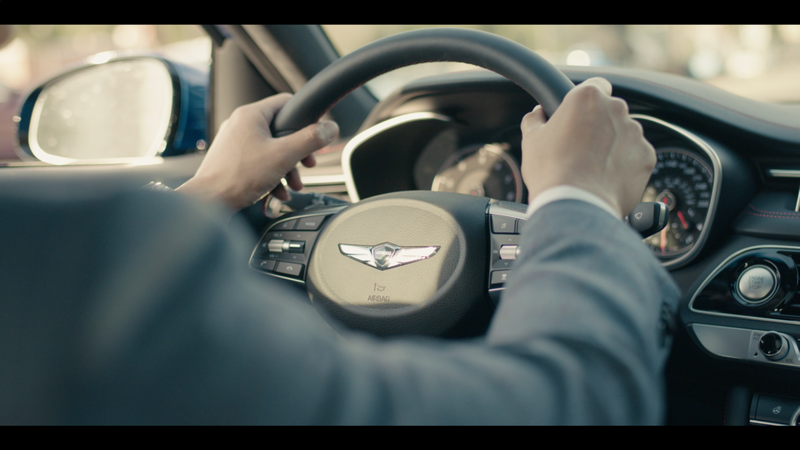 When we were asked to shoot the Hyundai Genesis TV Spot back in early May I was extremely excited. The new Genesis is a hot car and getting to come up with a way to tell its story and promote it was a fun mission. The thesis: hot new luxury vehicle targeting successful people. Alright, challenge accepted! 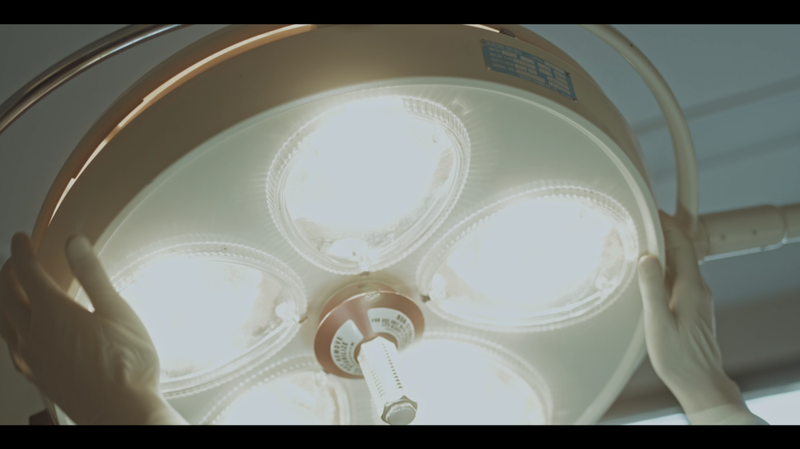 Right around the time we started working on ideas for the commercial Dr. Feng Chong, a successful plastic surgeon in Edmonton, agreed to come on board for it. If you don’t know Dr. Chong, you may have been living under a rock for the past several years. Dr. Chong is the epitome of success; he lives a fast paced lifestyle, he’s one of the top plastic surgeons in Alberta and he’s a man with impeccable taste. I don’t want to spell it out for you, but as you can see, once Dr. Chong came on board the commercial pretty much wrote itself. One aspect of the commercial that I really wanted to explore was the use of match cuts. I think match cuts are probably the most under-utilized techniques in filmmaking so cinematographer, Sam Reid, and I really wanted to see what creative and unique things we could do with them. That lead to the motif that was used most commonly throughout: the use of hands. 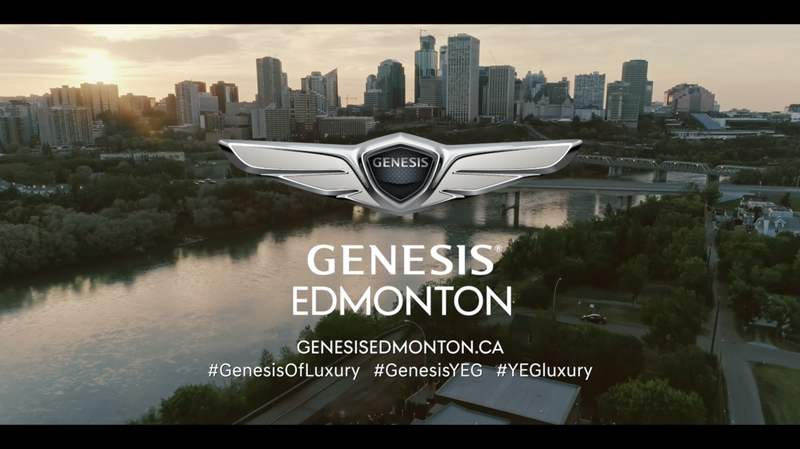 You’ll notice the motif of hands throughout the TV spot; shaving, putting on the gloves, grabbing the light in the operation room, grabbing the steering wheel of the Genesis, and shaking hands with other successful people on the rooftop patio. This was all premeditated and carefully thought through. 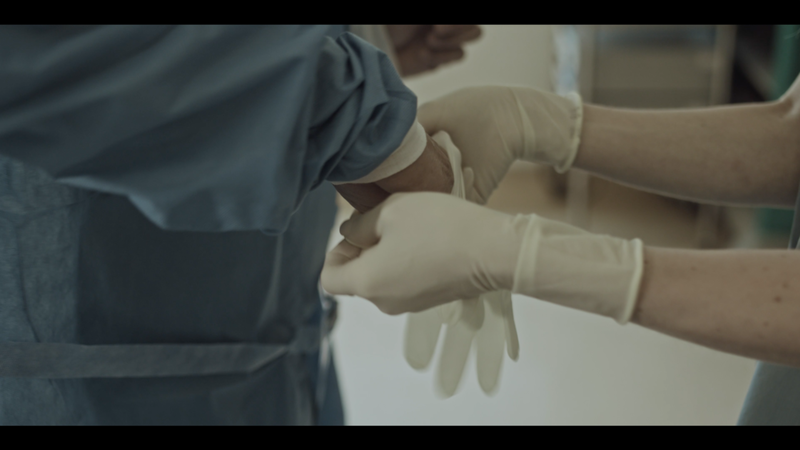 We felt we could tell the story of Dr. Chong and his daily lifestyle through his hands. Why? Given that Dr. Chong’s profession is so hands on it was only fitting. And, it goes much deeper than that. I think the hands really symbolize someone who is in control of all aspects of their life (even driving the car reinforces this metaphor) – control of one’s life equates confidence and success. 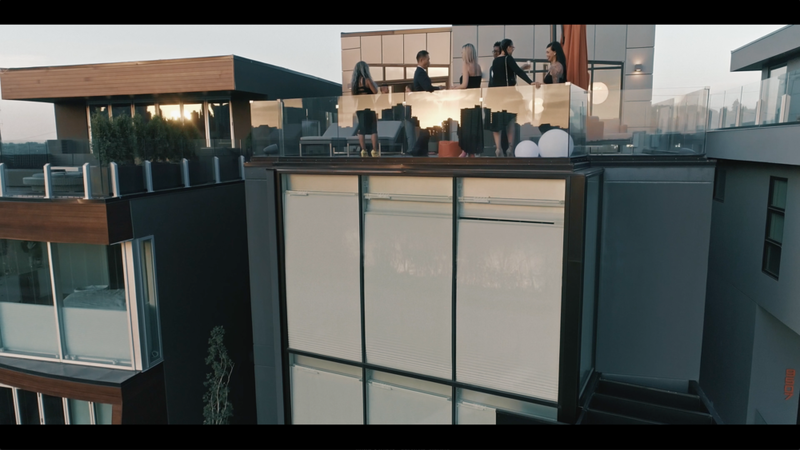 Another aspect that needed to be included was the use of Drone Aerial cinematography. 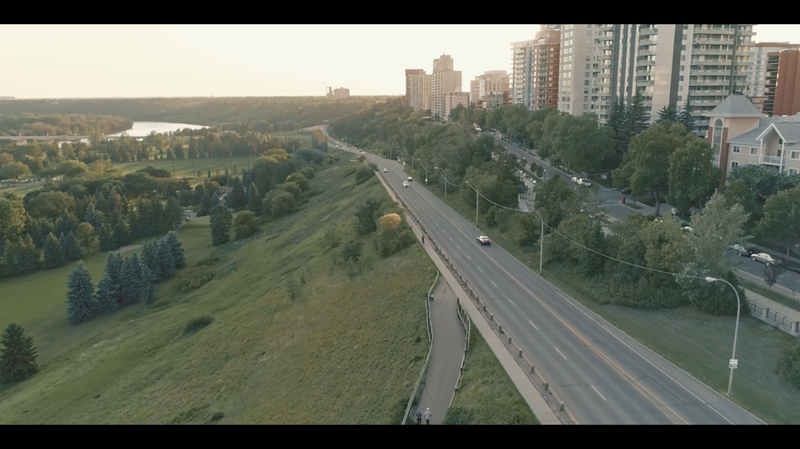 I personally think drone shots are used way too much in videos these days and they’ve lost their luster. Anyone’s Grandma, Grandpa, Aunt and Dog can go out and buy a drone and fly it around…well, maybe not dog, but you get the picture. Our challenge was to adhere to the drone request while keeping it minimal and still effective in our goal. I think the “less is more” approach really worked out because of how well they were incorporated into the final video. They aren’t drone shots for the sake of drone shots. Each one was carefully planned and had meaning in progressing the story further. 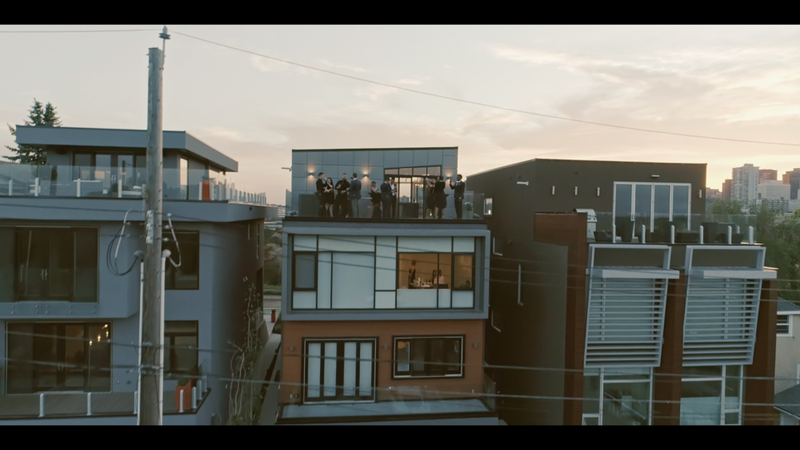 We also got really lucky and captured a beautiful Edmonton sunset on the night of the Patio Party shoot. Thank you Edmonton weather! Overall, I am so happy with how the TV Spot turned out. I think we accomplished our goal in creating something that showed off luxury, class and success. And, we were able to tell the story in a unique way that let our creativity flourish. I have to take a minute and thank Dr. Feng Chong for being an absolute dream to work with. He is a true professional and I am so grateful to have gotten a chance to meet and work with someone who is so thoughtful and caring, and someone who I can now call my friend. 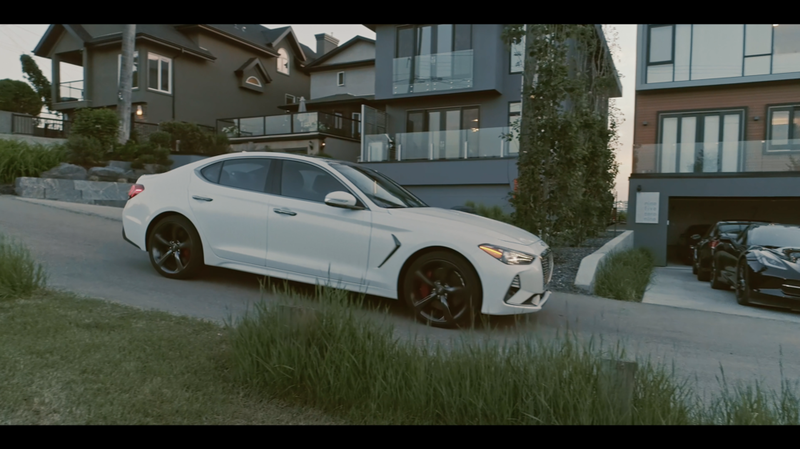 If you haven’t seen the spot, I invite you to check it out and if you love it, go take the Genesis for a test drive sometime. You won’t regret it!